Facebook has been looking to launch a new product for a while now, and it seems they've finally realized what they're best at—being as creepy as possible. 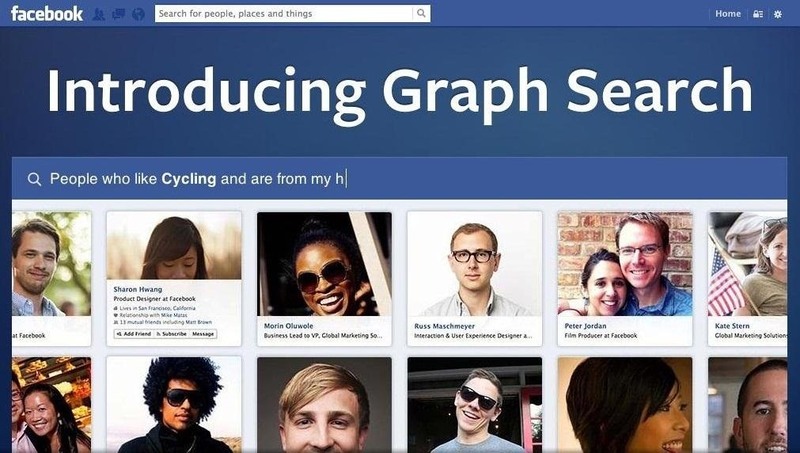 If you thought your boss checking out your girlfriend's beach photos was weird, Facebook's new Graph Search has only upped the ante. Now, I don't want to be an alarmist, because I'm sure there are a bunch of great things a Facebook search would find. If you're single, perhaps you could search "Girls that are single that like Goodfellas." That would be a pretty sweet way find a potential companion, don't you think? The examples the company uses for potential queries seem to be pretty legitimate. You could search for "People that like basketball," if you ever wanted to set up a local pickup league. A search for "People that live in my city" will review all public profiles, and all your friends that live in your city. So, if you didn't know that an old fling or friend was in the neighborhood, this could be an easy way to find out. So, back to the creepy side of things. Imagine a crazy ex or that one soccer coach you thought was a little off, did the same search. Now they can find you without even having to remember your name. Privacy issues have been Facebook's main problem and while the company has drastically improved its privacy options, adding a search engine is only going to make it harder for people that want increased privacy. Facebook has released a video in an effort to assure people that the new Graph Search can be edited for privacy just like your newsfeed and photos, but does it make you feel like you have control over your privacy? Despite the creepy factor, I do hope that Graph Search works out to be a great addition to Facebook. Who knows when I might actually need it one day. It's currently only available to select Facebook users, but if you want to get your hands on it before all your other friends do, you can join the waiting list. Just click on the "Join Waiting List" button at the bottom of the Graph Search page and you're all set. These searches are not only for people, you can also search for restaurants in your area or music that some of your friends recently liked. This project has some huge potential, and could make Facebook a real competitor in the search market. Are you excited or terrified by this new Facebook search? Let us know in the comments section. News: Yet Another Creepy Vintage Ad! It sounds handy. Facebook's current search is terrible... Good for finding specific friends, but that's about it. That said, all the people saying yelp and google are in trouble are crazy for one big reason: The web is MUCH bigger than facebook. I trust the collective knowledge of many far more than the limited shared posts from my facebook friends. It'll be useless for searching the larger web for answers to questions or finding a well-reviewed restaurant nearby. It'll be a welcomed new tool for finding the stuff people have shared on facebook, but that's about the sum of it. It would be nice if, for once, a change came from Facebook that didn't require me to re-evaluate my privacy settings every single time. Honestly...though, I don't see how it's going to come in handy for me, since I don't use Facebook like they assume most people use it - I don't "like" restaurants or stores, I barely have anything in my profile...so I don't see how that info is going to be relevant to others.